Want to save money, build wealth, and win the financial game? 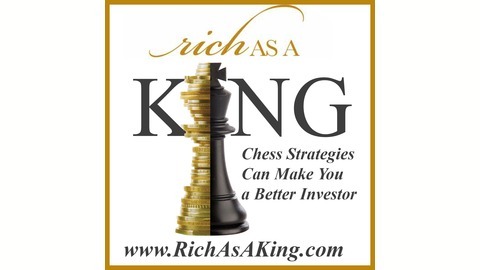 The Rich As A King podcast brings you tips and practical suggestions on how to apply the strategic thinking to your investments. Download the podcast to discover specific tactics to apply to budget and savings, to help you prepare for a successful retirement. 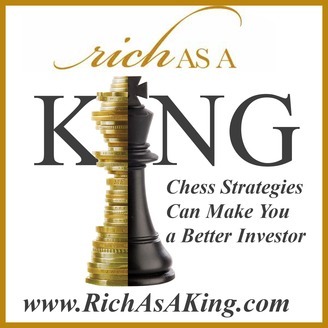 This podcast is based on the best-selling book Rich As A King: How the Wisdom of Chess Can Make You a Grandmaster of Investing,by World Chess Champion Grandmaster Susan Polgar and international financial advisor Douglas Goldstein, CFP®. Note: you don’t need to be a chess player to benefit from the podcast. All you need is motivation to better your financial situation. What happens when the game finishes? This is the last Rich As A King podcast. But, you can still listen to other great financial podcasts and learn essential strategies for managing your money. Here’s another great online resource for you – The Goldstein on Gelt Show. On this personal finance podcast, I invite a guest to share his ideas and strategies for investing and personal finance. Each show includes a discussion with an expert on how to invest for success. Popular episodes feature Daniel Kahneman, Pat Flynn, and Suze Orman. Find out what else this twice-weekly show, also hosted by Douglas Goldstein, can offer you.